Woah…two articles in a row? Yea that’s right I work and it interrupts my normal trips to FNM, but hey atleast I get to bring you guys a brand new segment! This is Jank Central; a new part of the show where I post lists that are NOT BUDGET, but will make you shake your head. This list is going to be for the modern format, and is indeed a combo deck. Let’s get started! The combo in the deck. Lately everyone has been clambering over the Devoted Druid and Vizier of Remedies, but I think this one is cheekier. This two card combo has the potential to generate an infinite amount of coloured mana. By using Grand Architect’s ability to make Pili-Pala blue. By doing this we can use Grand Architect’s second ability to tap Pili-Pala for two colourless mana. We then use that two colourless to untap Pili-Pala, netting a single mana of any colour. Now we can continue this as much as we want until we decide to stop. Now that we have all of this mana, what do we do with it? We dump it into drawing our entire library duh! Sure we won’t necessarily have to draw our entire library, but enough to hit our win conditions. The first of which being the Ad Nauseam all star Laboratory Maniac! Once we hit this guy, all we have to do is cast a second Pull from Tomorrow for the rest of the deck. Oh no! So you kept a really good hand and drew into Laboratory Maniac. Your opponent hits you with a Thoughtseize and makes you discard it. What do we do now? Well, once we get hold of our combo we can blow up someone’s face. Banefire for 600? Totally doable. Generate 10,000 blue mana, make a 5,000/5,000 Walking Ballista and ping your opponent to death? Yep! These two win cons are a great way to just take it to your opponent’s life total. These are our versatile spells. These will help us find the things we need to win the game. We can transmute Muddle the Mixture for either Pull from Tomorrow or Pili-Pala. Transmuting Tolaria West gets us Pact of Negation or Walking Ballista. These cards helps us dig for what we need to seal the deal on our opponents. These two are your typical blue staples which help us dig for win cons and establish dominance. Mana leak is sort of a no brainer. Exhaustion on the other hand is super good in certain situations. With Grand Architect we can’t combo off until we have four mana. So being able to ensure that our opponent stays tapped out until our turn four is super clutch. The fetch lands do not matter. These eight blue based fetch lands will ensure we have the mana we need to combo off. Academy Ruins is here to retrieve any artifacts that accidentally hit the graveyard. Boseiju is here to ensure no one has any plans to stop our combo. 3x Twisted Image – Not only the best Spellskite answer known to man, but a cantrip aswell. 2x Vapor Snag – A little stall can go a long way. 2x Echoing Truth – More stall can go an even further way! 3x Hurkyl’s Recall – Pesky artifacts getting the bump! 3x Negate – So we can stop anyone trying to stop us. 2x Surgical Extraction – A wee bit of exile never hurt anybody. 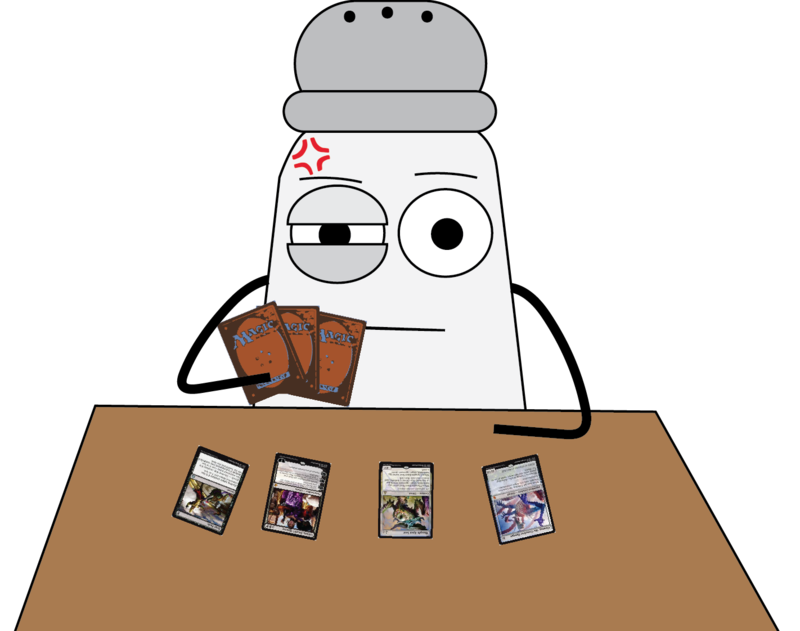 With WotC’s recent ban announcement it has left me deck-less. I had finally gotten all of my cards together for Sultai Marvel and managed to play it at one FNM. Not even two weeks after I finish the deck, WotC announces the removal of the deck’s namesake. Back to the drawing board for me I guess. I will leave you all with a little treat…enjoy.